While reading Seenaa Jimjimo’s new book, “The In-Between,” I was reminded of the inequality and discrimination that diaspora Oromo women face on daily basis, issues which are often muted both in Oromo academic writings or in online conversations on social media and Oromo websites. These are taboo subjects. I know. And I will not be surprised if some among us dispute the existence of gender-based discrimination among the Oromo altogether. 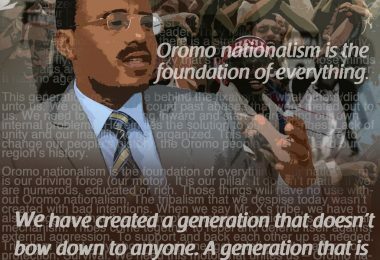 After all, Oromos pioneered the egalitarian Gadaa and Siinqee institutions, right? The truth is, refusal to recognize the existence of such inequities within our community is akin to denying the atrocities committed by Ethiopian rulers against the Oromo and other cultural groups in southern Ethiopia. True, there are those who acknowledge the disparities but believe these issues are not our priority at the moment — and will only serve to further fragment our diaspora communities. I would argue that the lack of (political) progress in our community has much to do with the exclusion of women from political, religious and social affairs. Seenaa is generous in her book, writing Oromo women “often face double bigotry.” As an immigrant, black (and in some cases Muslim) women in America, Oromo diaspora women face at least a triple prejudice. I read Seenaa’s book from cover to cover. Her astute and honest observations about the trials of Oromo women in the West awakened my own senses and brought back some personal experiences. During my work as an interpreter and translator at the Legal Aid Society in Minneapolis from 2008 to 2010, I met a lot of Oromo women who faced untold hardships at the hands of their male partners. I realized then that this was a silent crisis that needs immediate attention from both men and women in our community. It is important that we, the Oromo men, first acknowledge that our sisters and mothers face triple oppression simply by virtue of being women. That entails engaging in open and honest conversations about these struggles, with the goal of helping them cope with it and to create better understanding and tolerance within our community. Here, I am not advocating for a wholesale imposition of mainstream western views on gender equality on Oromos. Context matters. For example, we can’t categorize or generalize certain actions of Oromo men by using borrowed or decontextualized ideas and norms. But we need to seek out perspectives and solutions that can be adopted and could work within the context of our cultural traditions. And we must also strive to preserve good qualities and practices from our own culture. Existing cultural practices and contexts can serve as reference points, or alternative solutions on case-by-case considerations. But all of this requires first and foremost an acknowledgment of the problem, followed by validation and inclusion and giving primacy to the view and voices of our women. While the majority of my work focuses on diverse issues … I must say I have a soft spot for the forgotten women of Africa, the Oromo women, who often face double bigotry, for being Oromo and for being women. 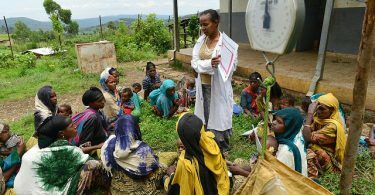 While there are many talks about improving gender equality in Africa, most Oromos in rural areas are left to counter brutal gender inequality, especially in the areas where religion has taken a toll. It is in this part of the world that my heart rests. It is these people, these women, which I dedicate my life to. The plight of African women, particularly the plights of Oromo women… is ought to be expanded and looked at carefully. 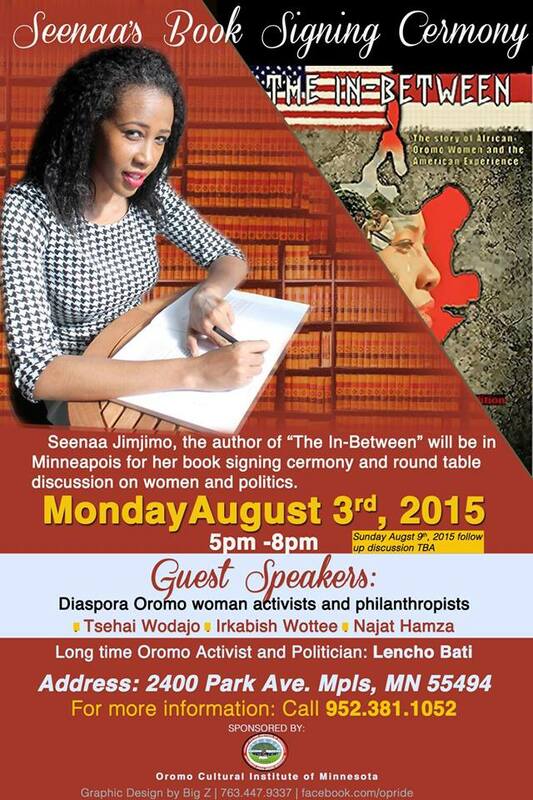 Seenaa recognizes and I agree that the Oromo women are hardly alone in this predicament. It is true that even the western world is far behind from realizing this goal. There is still a gender wage gap in the United States, in the 21st century. But we appear to be decades behind the rest of the world in our efforts toward achieving even a semblance of gender parity. It is still difficult to openly talk about these issues. We don’t have workshops or other programs dedicated to education and awareness campaigns, particularly for the older generations. “No country in the world can yet say that they have achieved gender equality,” British actress, Emma Watson, said in September 2014, launching the HeForShe initiative, the UN Women’s solidarity campaign for gender equality. As a result, women have been victimized, seen as inferiors to men, paid less than men for the same job, and are not able to make their own decisions. Emma added that men turn to aggression and violence as a defensive mechanism when they fail to achieve what society considers normal for them and eventually end up in jails or get caught up within the criminal justice system. Unlike Emma, who is white and Western, Seenaa was born in Oromia, Ethiopia but she grew up in the United States. Both women argue that gender discrimination affects men and women alike. Women’s inequality is a widely accepted problem, but men are also victims of old social orders because they are conditioned to reject such notions as being perceived as weak or emotional simply to fulfill societal expectations. Over time, however, men have gotten comfortable with their privileges and have been using it to oppress and define women’s place in the society. The only way forward for Oromo community is to find ways to support and empower our women. There are a lot of progressive and fair-minded individuals in our midst but they are often discouraged by the lack of family and community support. 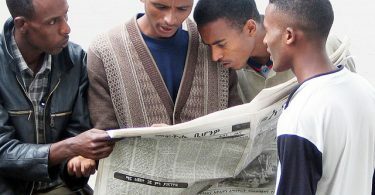 For Oromo diaspora, particularly the youth, reading and engaging with the issues raised in The In-Between would be a small but practical first step. This is why I’m particularly excited about Seenaa’s book signing event in Minneapolis, Minnesota during the annual Oromo Sports Federation in North America week, also known as #OromoWeek. The Oromo Culture Institute of Minnesota (OCIM), a nonprofit organization established in 2013 “to collect, preserve, and promote Oromo art, culture, and teach Oromo language and history to American Oromos and any interested group or individual,” is sponsoring and hosting an educational panel on women’s rights. Seenaa will be joined on stage by other prominent Oromo women and activist Irkabish Wottee, Urgo Haji and Tsehai Wodajo, and long time politician and educator, Lencho Bati. The writer, Hashim Adam, is a PHMD student at North Dakota State University. 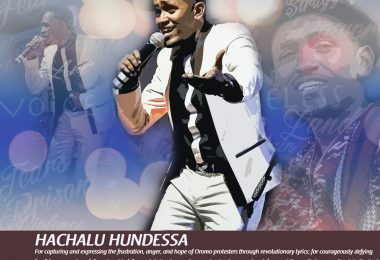 He’s the former president of Oromia Student Union at the University of Minnesota and International Oromo Youth Association. All that glitters is not gold: Can Ethiopia’s new PM deliver? Can contradictory Oromo and Amhara political aspirations be reconciled?